It's my birthday and I'll WINE if I want to! 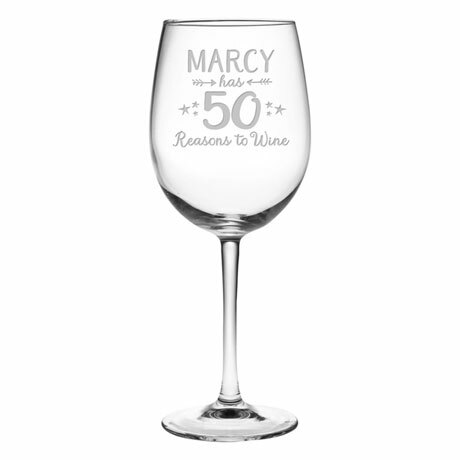 Infused with humor and style, this personalized wine glass is a great gift for the birthday boy or girl who has everything. Sand-etched and hand-cut by skilled artisans in the USA, glass holds 19 oz. and can be used with red and white wine. Personalize with name up to 10 characters and age (0-99). Dishwasher safe. Allow 3 weeks. No rush delivery or gift box. Made in the USA. Item can only be shipped within the Continental US.